Entertainment has reached to a new level today thanks to everyone’s favorite idiot box ! & tons of channels on which viewers can watch thousands of shows. Nowadays Anybody who is not watching Game of Thrones Will be considered as Alien among Show lovers. You have to wait for 1 year or more than one year for Brand new Session….I Know its so boring and frustrating to Wait for Long…. You Can Start These Brand NEW Showz & You will Get on Exciting roller coaster ride. 1200 years ago vikings exploded from north cold sea like beast, There were from the land of Scandanavia, In 1880 the Archeologist found interesting discovery &amp; open the door to history of vikigs,The Tv show is created by Michael Hirst for the History channel filmed in Ireland, the premiered on March 03, 2013 in Canada. Vikings is inspired by the sagas of Viking Ragnar Lothbrok, one of the legendary norse heroes and notorious as the scourge of England & France. The First Session had started in 2013 after the great response from viewers the show is big hit with releasing 5 successful sessions. This Historical period drama has IMDB rating of 8.6/10, and there is a guarantee that you will feel Adrenalin rush like never before after watching this Show. 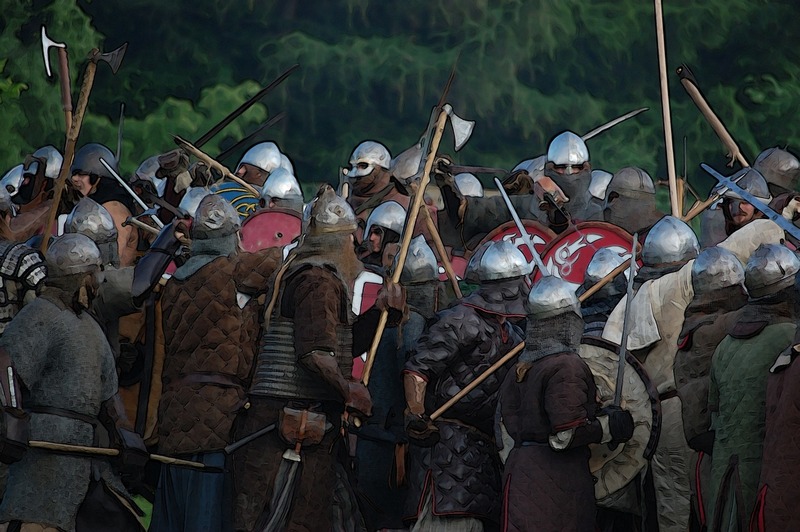 The last kingdom tv show is based on the 9th-century Anglo-Saxon lands. also, most of the script is inspired by novels on Bernard Cornwell. The last kingdom story starts when Vikings are invading everything.The story revolves around Utred of bebbanburg whose father was killed in war by Vikings. The Last kingdom has 2 seasons both contains 16 episodes and the third series is under production will be released in 2018. The Tudors has been written and created by Micheal Hirst and is based on Reign of king Henry VIII of England around the 1500s. The show is produced by American premium cable television showtime. This tv show is loosely based on history. and many scenes are purely produced for Tv lovers.so this show is described as love & hip-hop tour of England. King Henry the 8th was famous for many things but in this show, you will see the relationship of kings with so many girls he lived with. if you like the game of thrones for planning, plotting, backstabbing, seeming. and politics then you will surely like this show. This Tv show has 4 seasons each has 8-10 episodes.the first episode was released on 1st April 2007 and last season was released on 11th April 2010. The Tudor show has their own fan following. and it has IMDB Rating of 8.1/10. Spartacus is the good show but very different from all other shows. The tv show is based on Thracian gladiator from 73 to 71 BCE led a major slave uprising against Roman republic departing from Capua. The Spartacus is created by Steven s dekinght, The tv show has started on 22nd January 2010. This Tv show has total 4 season which includes mini-series. but this tv show has some very violent, offensive scenes also it has some crazy gladiator fight so it is not recommended for everyone. The Spartacus is an awesome show which has IMDB Rating 8.6/10. -Reign is another historical drama, the story is based on Marry queen of Scotland.Their is some extra juice added for only tv. The tv show has very much new age costumes and music. basically reign follows marry queen from life to death. The Reign involved love-story, politics, backstabbing.some profecy and sketchy people. but it do not have big battles. but its kind of real entertainment. The reign has 4 seasons and created by stephanie sengupta.The Reign has very limited but upmarket fan following and has IMDB Rating 7.6/10. Tv show lovers you do not have to wait for one year for new season. you can keep watching these awesome tv shows and make your life entertaining with these above five outstanding shows.